It is one of those true travesties that an artist such as David Broza should still inhabit the fringes of music. While it’s also true that Mr Broza is renowned in (those) circles where the music of the Middle East is celebrated, he is much more than an Israeli composer and singer. And not only does he deserve to be better known than his twenty-seven recordings that have made him a multi-platinum artist. 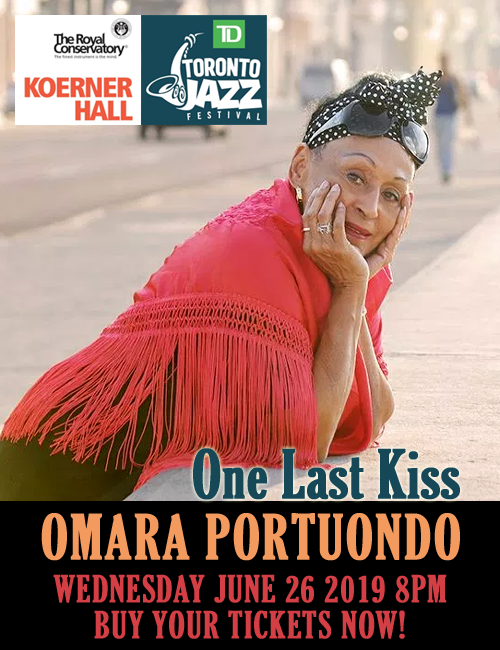 But the defining moments of his artistry must surely lie in the 2016 film East Jerusalem West Jerusalem and in the disc Andalusian Love Song, which were released in 2016. The former is David Broza’s pièce de résistance. It is a film about love of art, love between friends; a heroic film about true human co-existence in one of the most inhuman environments on earth: the Palestinian refugee camp Shu’ afat in East Jerusalem. 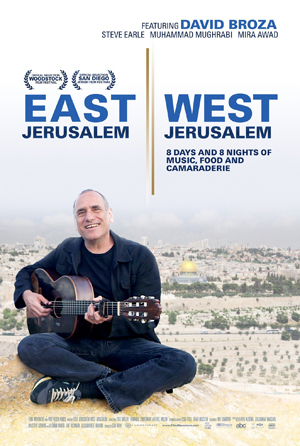 With its production and triumphant release at various film festivals around the world (and on DVD) East Jerusalem West Jerusalem can certainly stake its claim to being one of the bravest and most inspiring feature-length documentaries about ever made, not simply for its extraordinary (musical) content – songs written by David Broza some of which he shares credits with Steve Earle, the sublime Palestinian rapper Muhammad Mughrabi, the oud master Yair Dalal and the sublime Palestinian vocalist Mira Awad. Of course, it bears mention that none of this would have happened without Issa Freij, Mr Broza’s friend and the Palestinian cinematographer who also directed the film. And then there is Andalusian Love Song a simply gorgeous recording that features David Broza and The Andalusian Orchestra Ashkelon a large culturally-rich ensemble, made infinitely more opulent with the magnificent talents of Mira Awad, the Flamenco guitarist Lior Boker, the ney player Itzhak Ventura, oud player Elias Wakileh, violinist Netanel Yitzhakov and The Jerusalem Youth Choir of the YMCA and, of course the breathtaking music and vocals of David Broza himself. Here is music to rival the great Middle Eastern orchestras including those of the Egyptian and Lebanese orchestras. 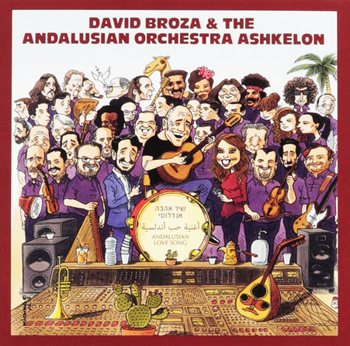 It is music that is quintessentially David Broza: an interesting enough hybrid even without the addition of other enthusiasms, such as Gypsy music, Jazz and Flamenco and Maghrebi (North African) music. The singing – by David Broza, Mira Awad and the Youth Choir of Jerusalem – is fantastically seductive and all the music’s heavy-lidded beauty comes across magnificently, while at the same time lyrics – in Hebrew and Arabic – are conveyed with precision and poise. The performance of David Broza is sublime and the contribution of musical director Tom Cohen immeasurable. 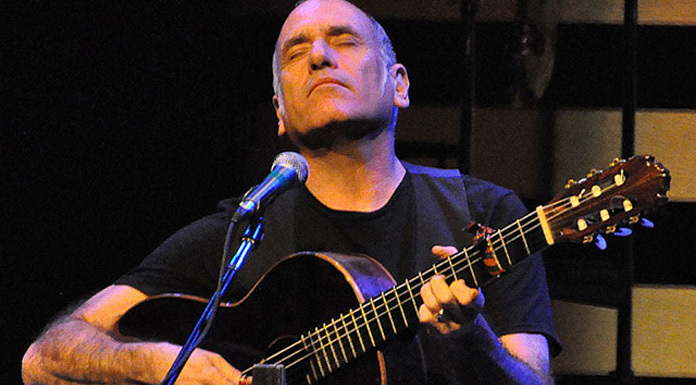 Singing in Hebrew, Spanish, English, and Arabic, David Broza, one of Israel’s most important living artists, and brings the full spectrum of his work to this amazing production with his all-star band and special guests. In 2017 the iconic Israeli musician and peace advocate is celebrating 40 Years of “Yihye Tov” (Things Will Be Better). As part of the celebrations Mr Broza, also a UNICEF goodwill ambassador, will embark on a coast-to-coast winter tour in December, 2017. “Yihye Tov” (Things Will Be Better) is a song that was written in 1977 during the Arab-Israeli peace talks between Egyptian president Anwar Sadat and Israeli Prime Minister Menachem Begin. It has since become an anthem of the Israeli peace movement.